D. B. Borton teaches English at a Midwestern liberal arts college. She has published eleven mystery novels in two series, the Cat Caliban series and the Gilda Liberty series. As an academic writer she has published work on film, women’s ghost stories, and girl detectives. Remember those dour aliens from 1950s sci-fi flicks? 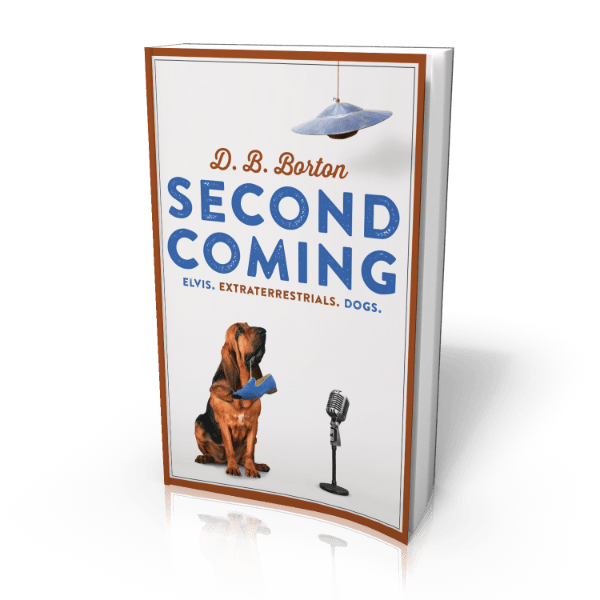 They've had a makeover, and now they're back in SECOND COMING, a hilarious novel by D.B. Borton, author of the Cat Caliban and Gilda Liberty series. Taking aim at consumerism, the cult of celebrity, and the self-destructiveness of humanity, it nonetheless finds joy in the pleasures of basketball, dogs, and rock ‘n’ roll.